Adenosine A1 receptors (A1Rs) have been shown to be involved in antinociception in preclinical models for several decades. Thus, systemic, peripheral, spinal, and supraspinal administration of A1R agonists universally produces antinociception in nociceptive, inflammatory, and neuropathic pain models. The clinical potential for adenosine (given intravenously), or A1R ligands (given systemically or spinally) to produce analgesia in humans was supported by earlier trials, but more recent, larger controlled trials have generally not demonstrated analgesic activity for postoperative pain. Adenosine A2ARs have more complex effects on pain, generating pronociceptive effects peripherally and spinally, but antinociceptive effects supraspinally. The presence of A2ARs on astrocytes and microglia within the spinal cord may be particularly important for their pronociceptive actions in states of nerve injury. There is also a report that ultralow doses of A2AR agonists produce long lasting antinociception in such states. 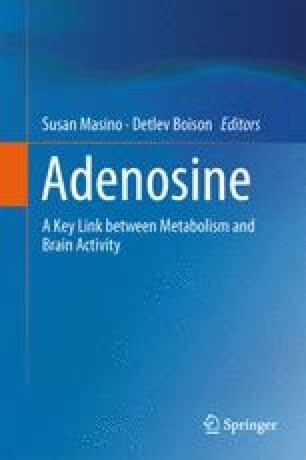 Manipulation of endogenous levels of adenosine by inhibiting adenosine kinase represented a promising novel approach, but development in this area is no longer active. Recent data have demonstrated that specific ectonucleotidases are localized on sensory afferent neurons, and that spinal delivery of recombinant forms of these enzymes produce long-lasting antinociceptive actions; this led to the suggestion that manipulating ectonucleotidases may represent a potential new approach for development. Additional observations have implicated tissue release of nucleotides and adenosine in acupuncture analgesia, and shown analgesia results from peripheral actions at adenosine A1Rs. Finally, other recent observations indicate that caffeine, which inhibits both A1- and A2ARs with high affinity, blocks antinociception in preclinical studies by several drugs currently used to treat pain in humans. As caffeine is widely consumed, it will be important to attend to caffeine intake in future trial design with respect to evaluating novel therapies that use these receptor systems, some existing analgesics, as well as acupuncture analgesia.